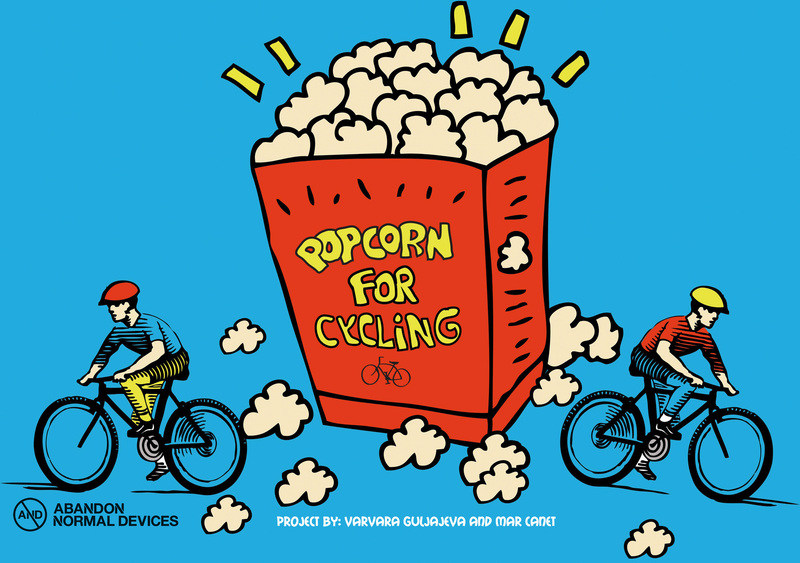 Popcorn for Cycling is exactly what the name says: only if one cycles enough to a power popcorn machine, he/she will get popcorn! The artwork is extremely participative and social! 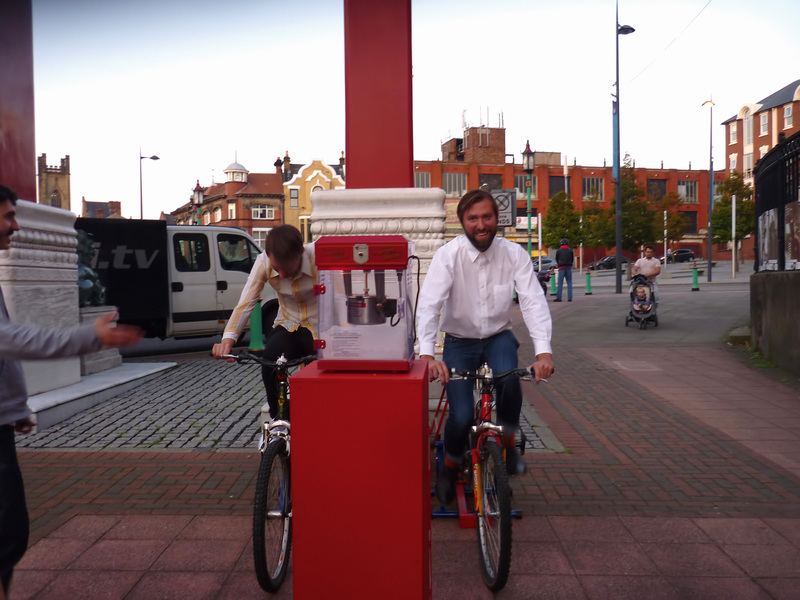 Because only active cycling will lead to reward and minimum of 2 bikes are able to power the machine. Hence, people have to team up! On the other hand, it makes audience think and feel energy that is needed to produce popcorn. Concerning realization, we have recycled used car alternators that are producing energy when cycling.